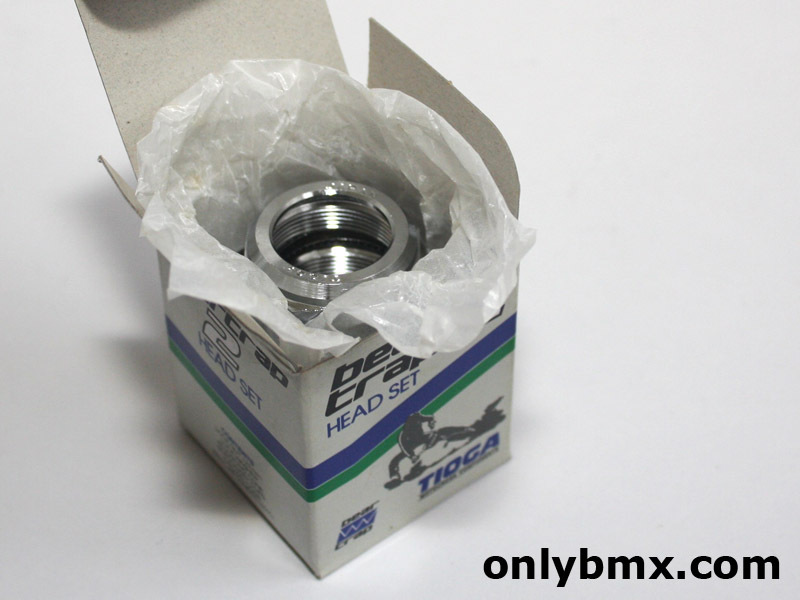 New in the box Tioga Bear Trap 2 BMX headset. Only removed a bit of the packaging to show the chrome used head set. 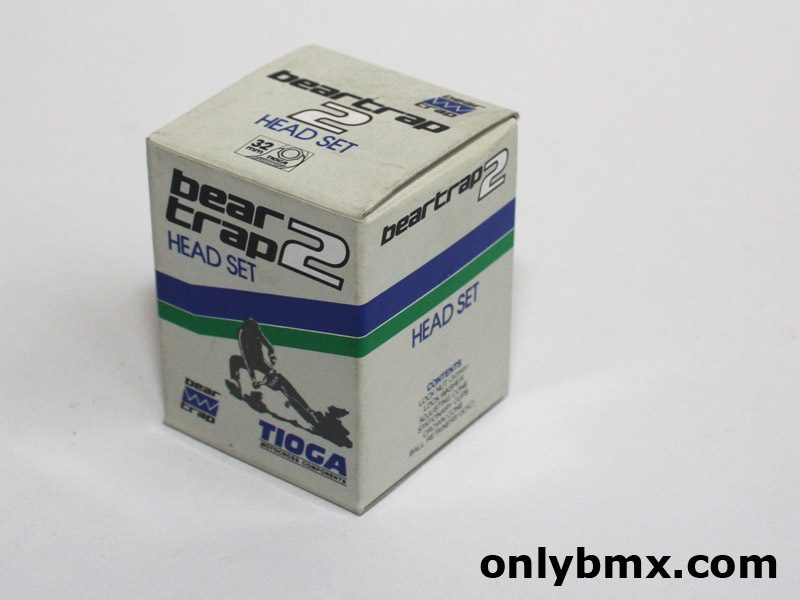 Standard equipment on many vintage BMX bikes.